I like cards that are not over the top … Like your sympathy card above. Hi Kathryn, thank you for taking the time to visit my blog and comment. I hope you have been inspired. Have a great day! I like simple cards to make as sets for selling, but for family and friends, I like to make fancy cards. Thank you Lynnette for commenting. Sounds like you are well versed in card making! Beautiful cards! I love following your blog. Hi Stephanie, Thank you so much! Are you a demonstrator as well? I am committed to post and do videos regularly. Come back often!! I like cards that are stepped up a little. Simple with a bit of stepped up to them. Thank you Angela for commenting. Nice of you to take the time and visit my blog. Thank you for taking the time to visit my blog and leave a comment. Detail makes a difference to me. Thanks for the nice compliment!! I like both for different reasons. Stepped up to give in person, simple to mail. Hi Sheryl, Thank you for taking the time to comment. That makes sense….easier to mail a simple card. I like both styles-it just depends on the reason for the card. Thank you Vickie! Yes, it does depend on the reason. Thank you for visiting and taking the time to comment! I like the stepped up cards…. moving or 3D cards. Thank you for commenting Connie. I will plan to post more of the moving or 3D cards soon. Thank you for visiting too! I liked them stepped up or a different technique! But all of yours are beautiful! Thank you Rita!!! They are my favorite as well!! Thank you for commenting!! Hi Cathie, I agree. I like the same style. Thanks for commenting!! 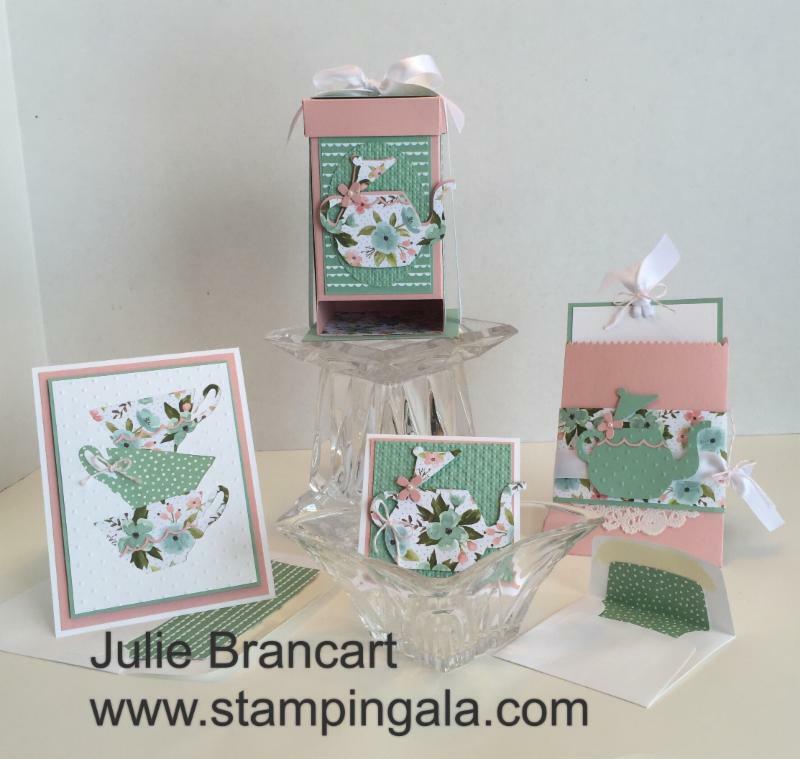 I like the stepped up cards……………..and using paper in the envelops! Very nice cards. I like a more simple style of card with several layers but not much extra stepped up. I tend to go stepped up with layers and flowers and embellishments! Thank you Vickie!! I love them too!! I like the stepped up with layers and I add flowers & bling. This is a first time visit for me. Really liking what I see. I will go to FB and "like" you. Thanks for sharing.